The national film festival Sinefest ’14 concluded on Sunday with a gala night at the Bilkent Concert Hall. 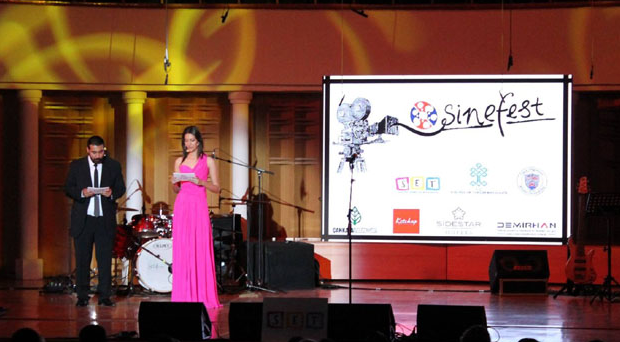 An annual showcase for Turkish cinema, Sinefest took place this year from April 18 to 22. During the festival, Turkish films from 2013 were screened and **************** voted on by a jury. Sinefest also included discussions with members of the film industry and exhibitions of film technologies. The gala night hosted cinema professionals including Ali Atay, Hazal Kaya, Serkan Keskin, Onur Ünlü, Ahmet Mümtaz Taylan, Mehmet Erdem, Deniz Hasgüler, S?la Karakaya and Haldun Dormen.